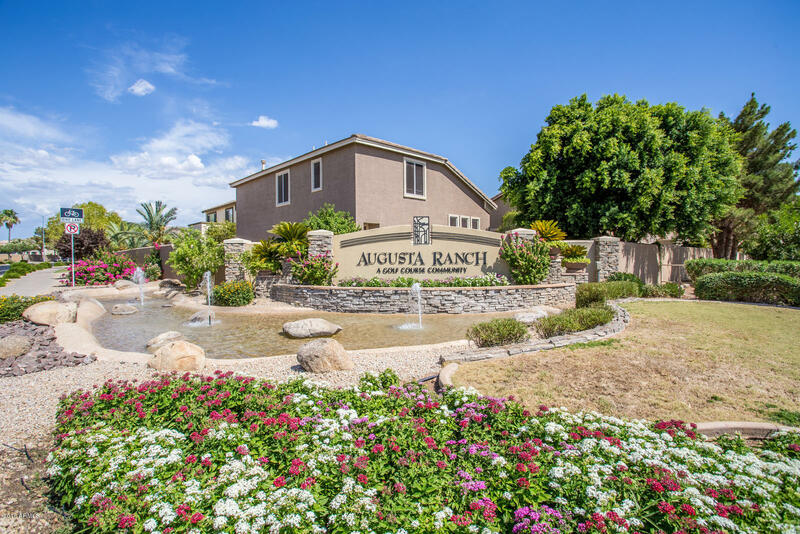 Gorgeous Augusta Ranch Golf/Clubhouse Community!! 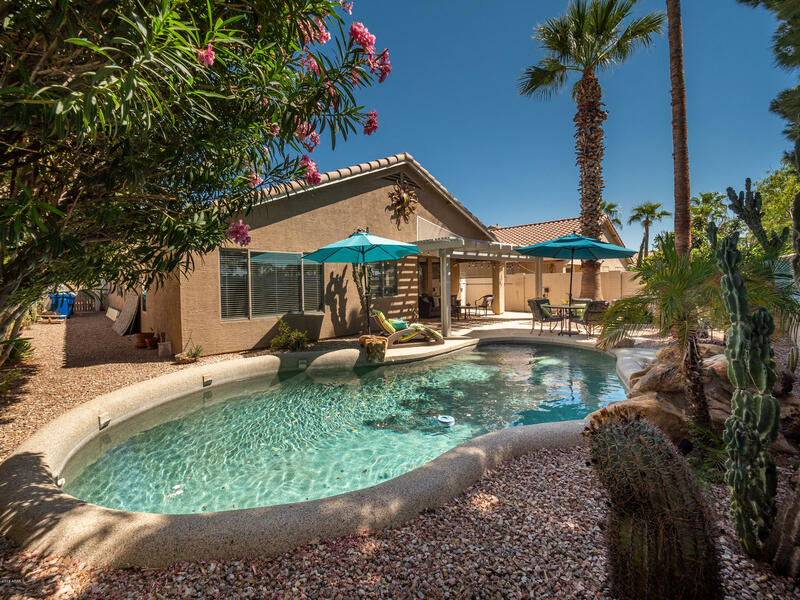 4 Bed/2 Bath SPLIT plan PLUS Sparkling Pebble tec POOL!! 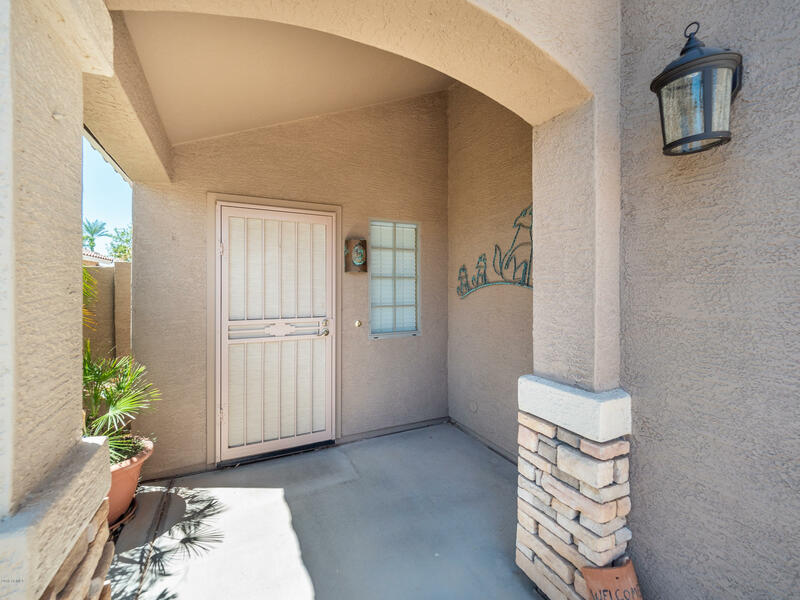 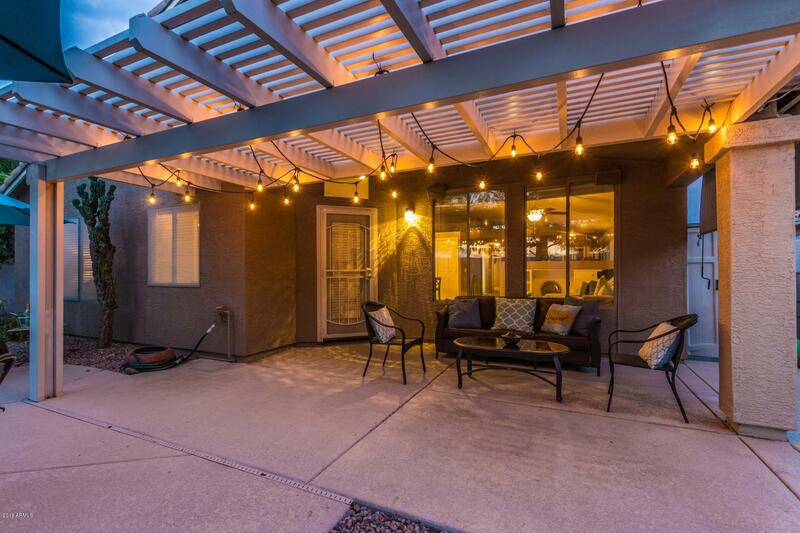 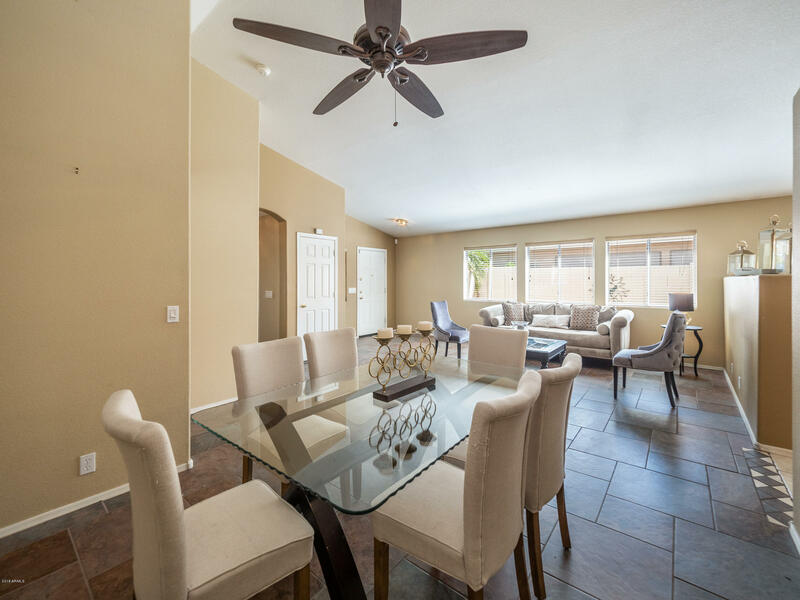 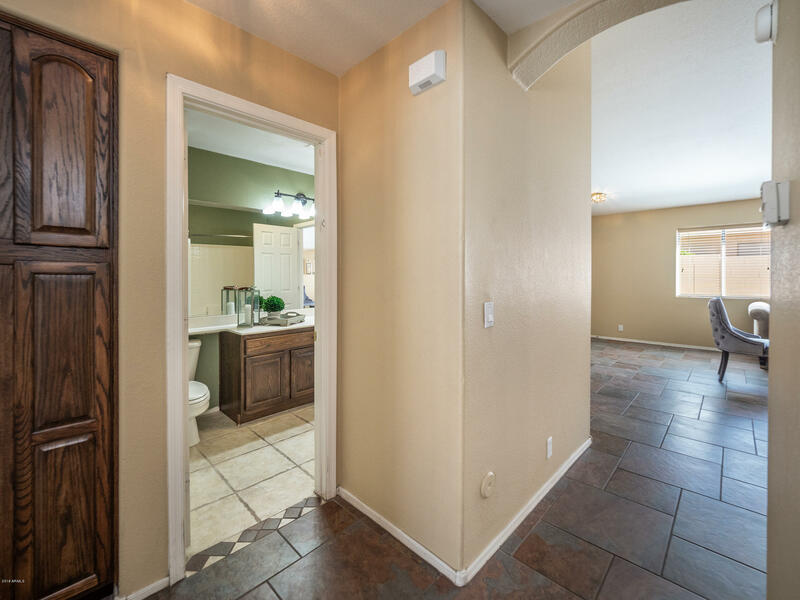 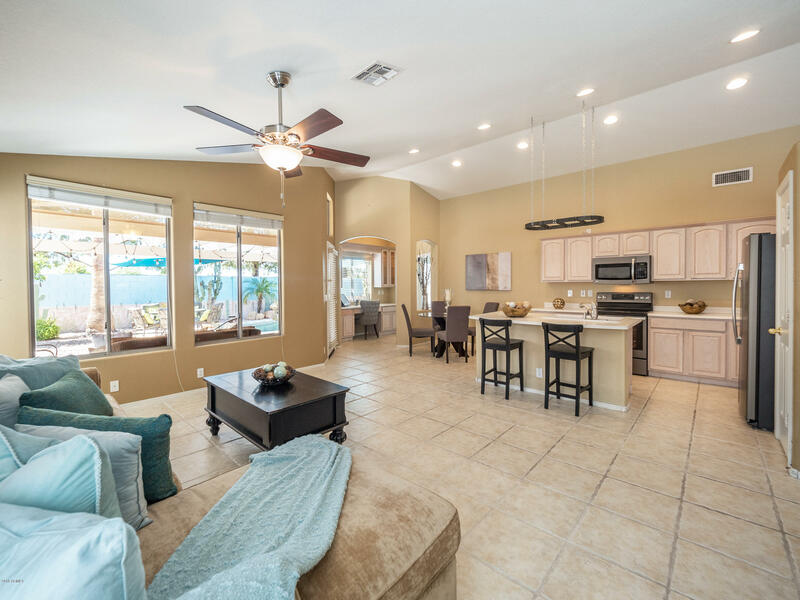 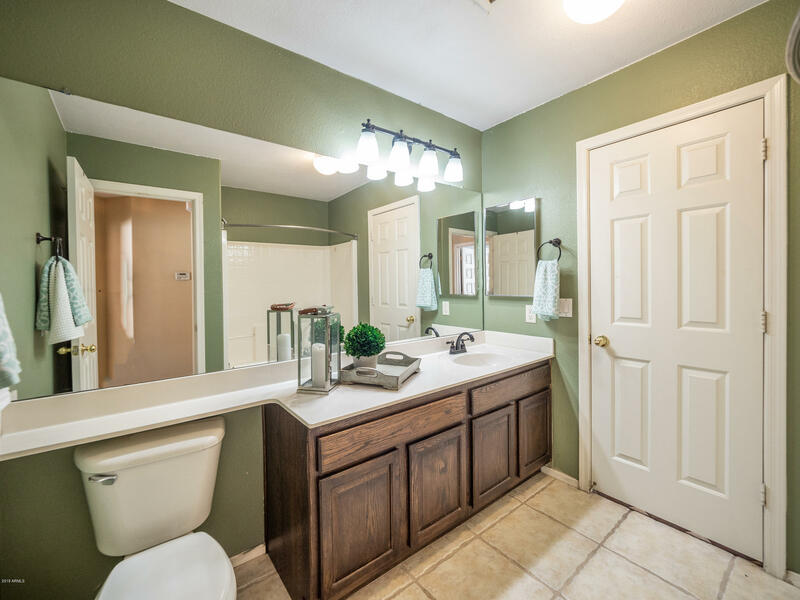 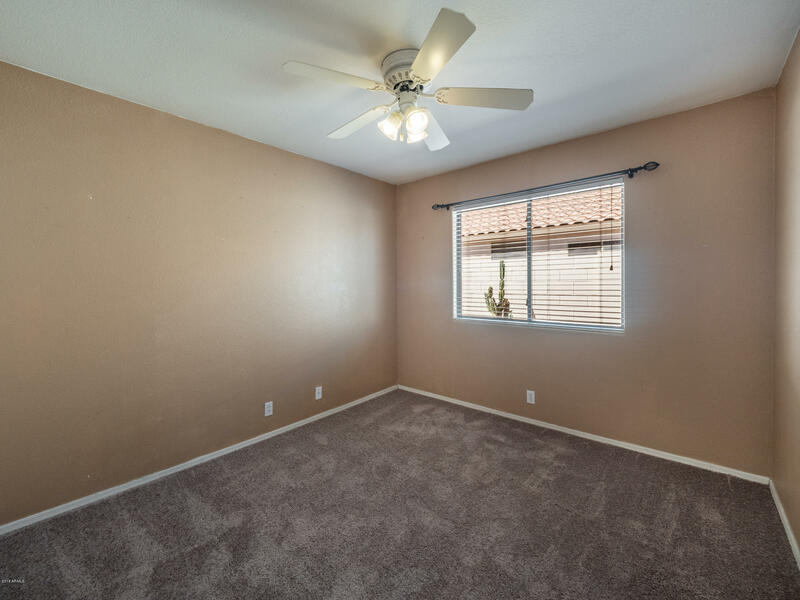 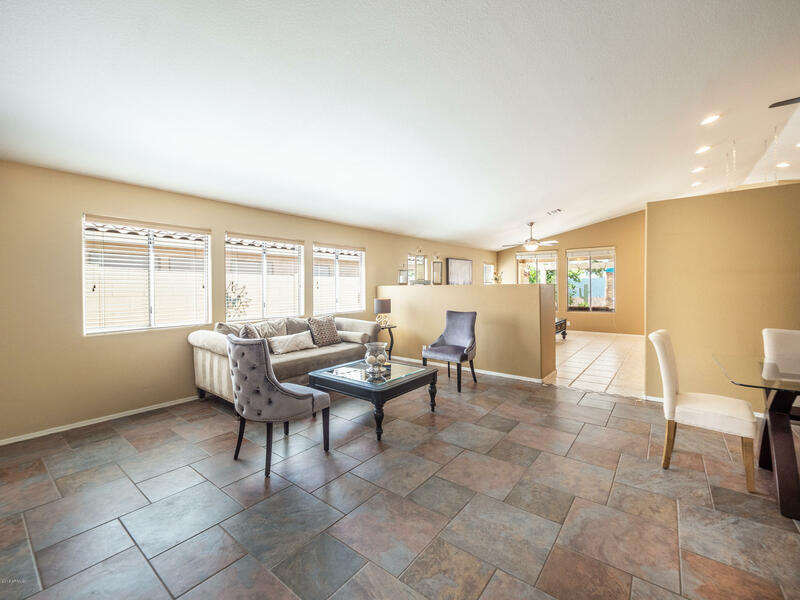 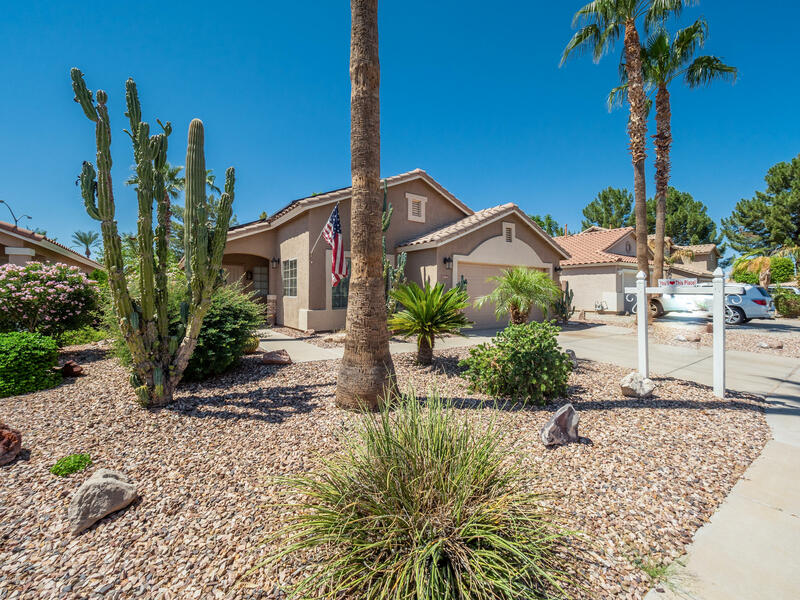 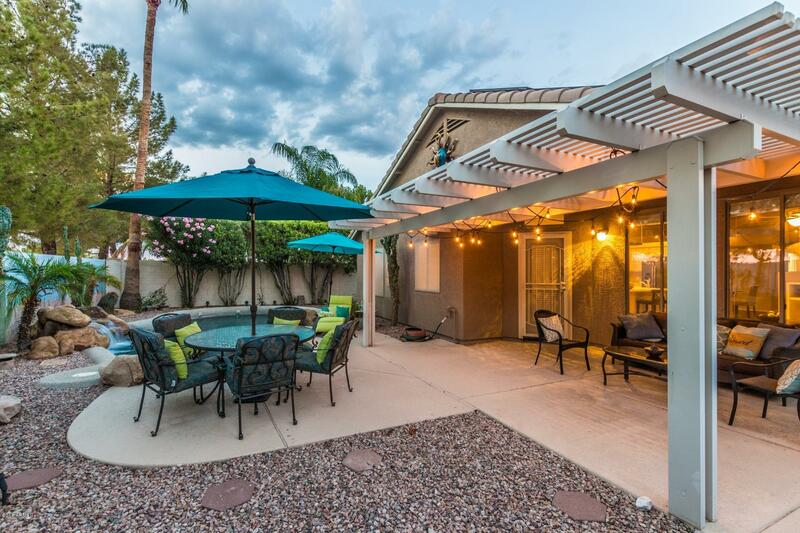 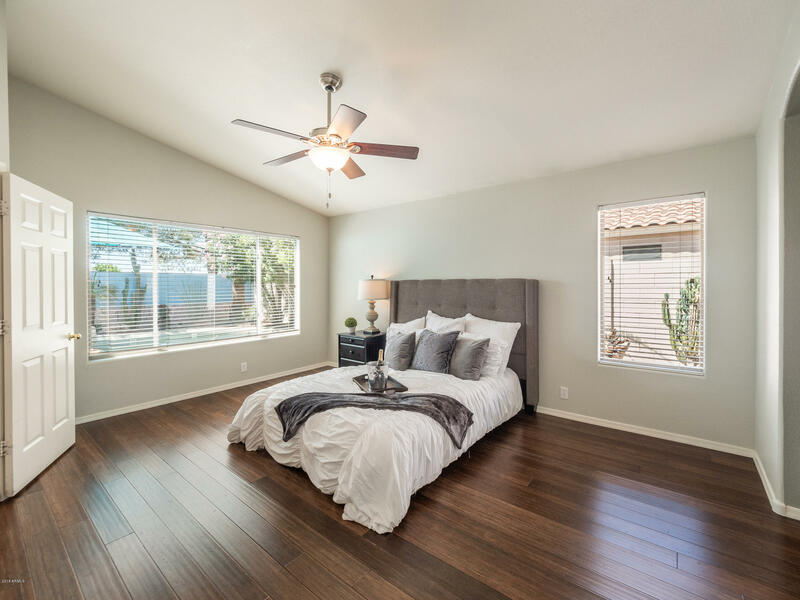 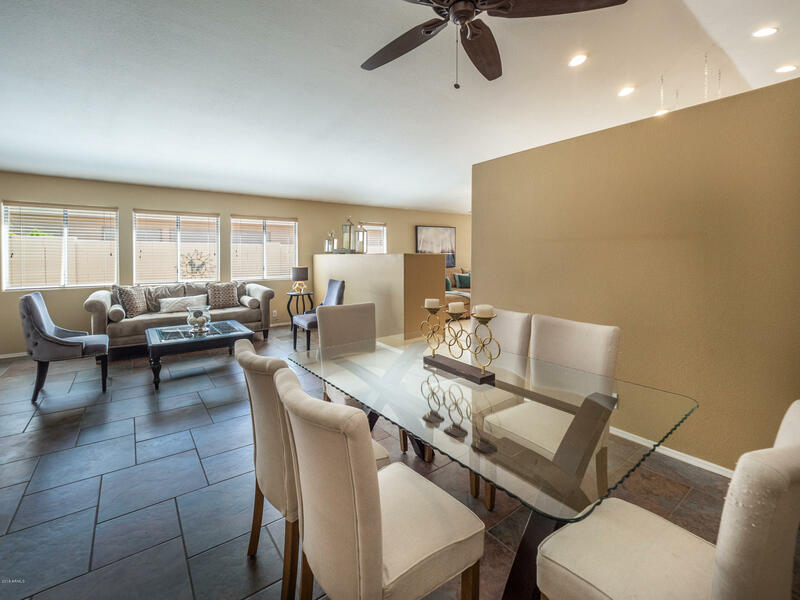 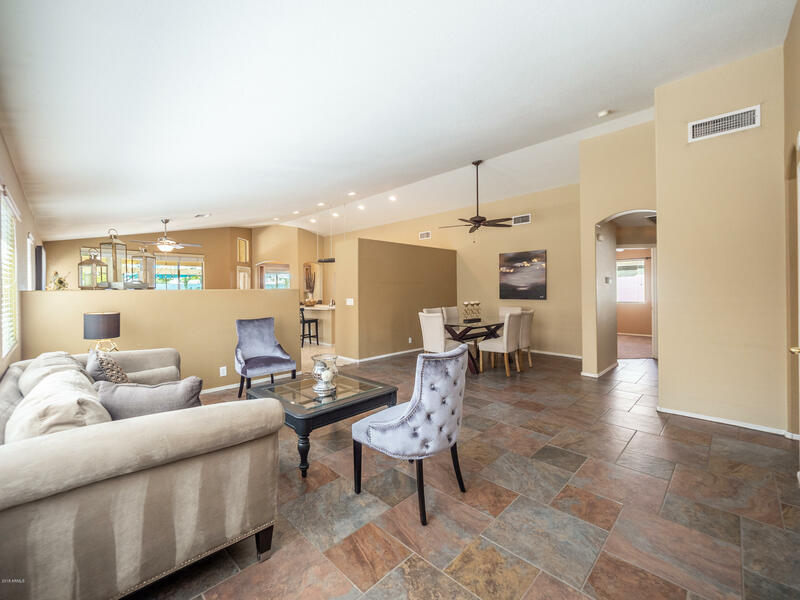 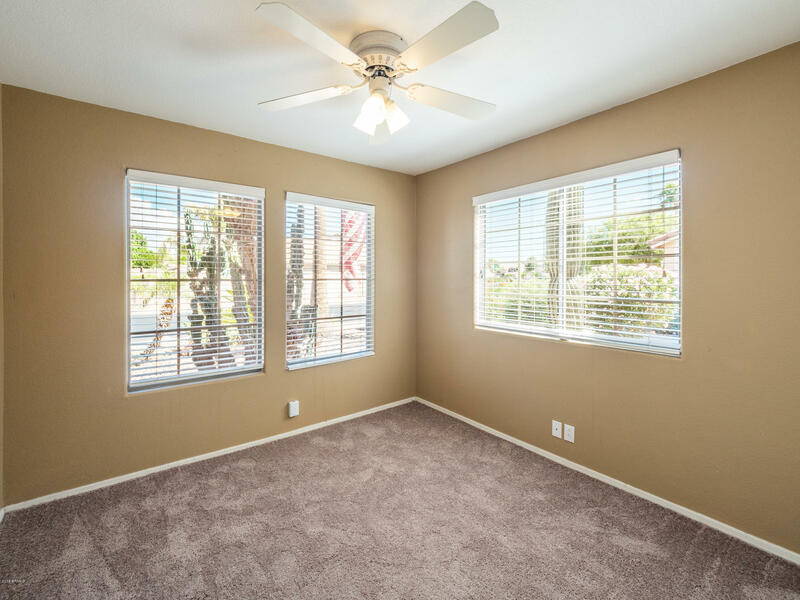 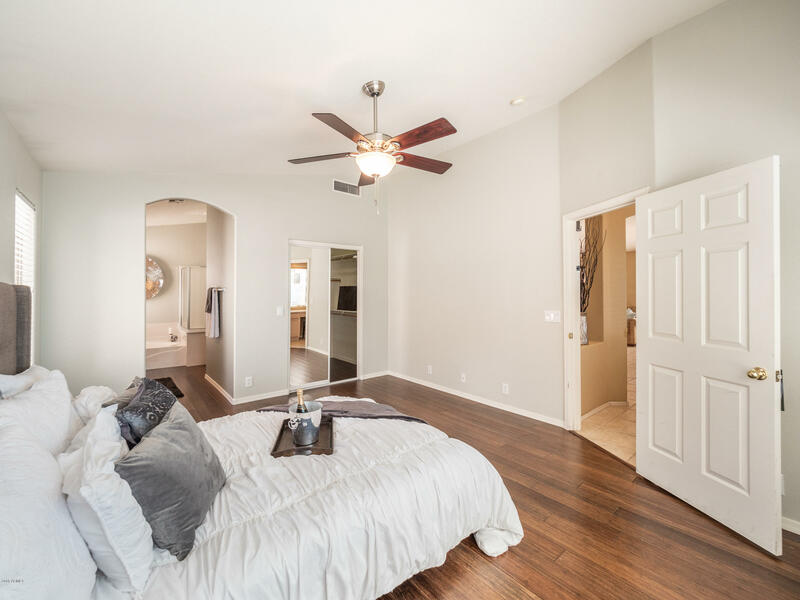 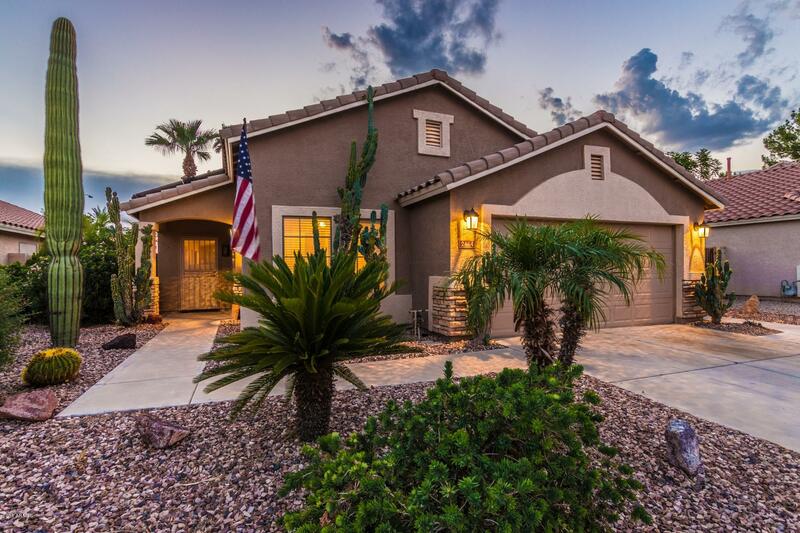 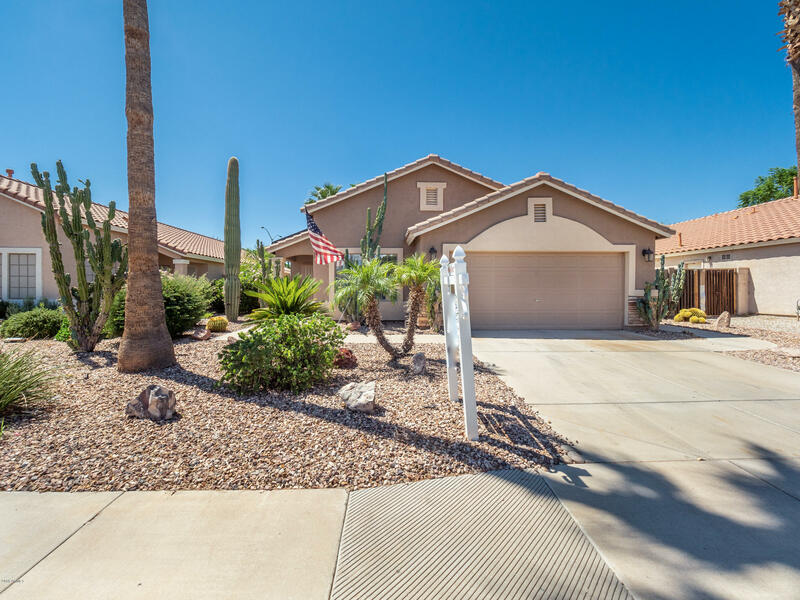 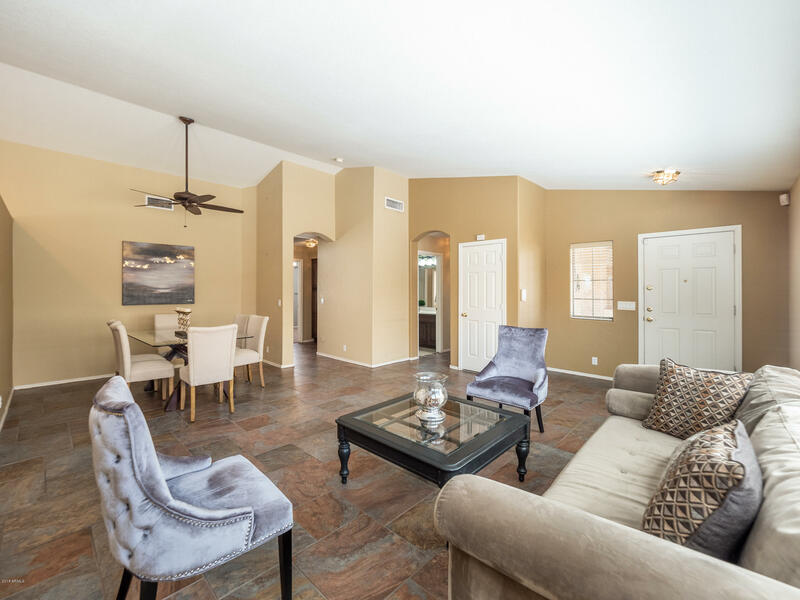 Bright & Spacious w/ Vaulted Ceilings! 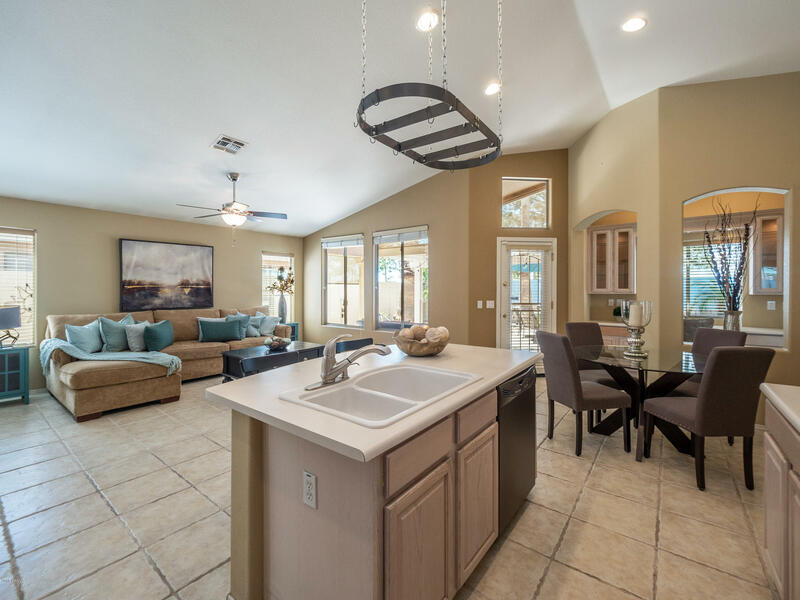 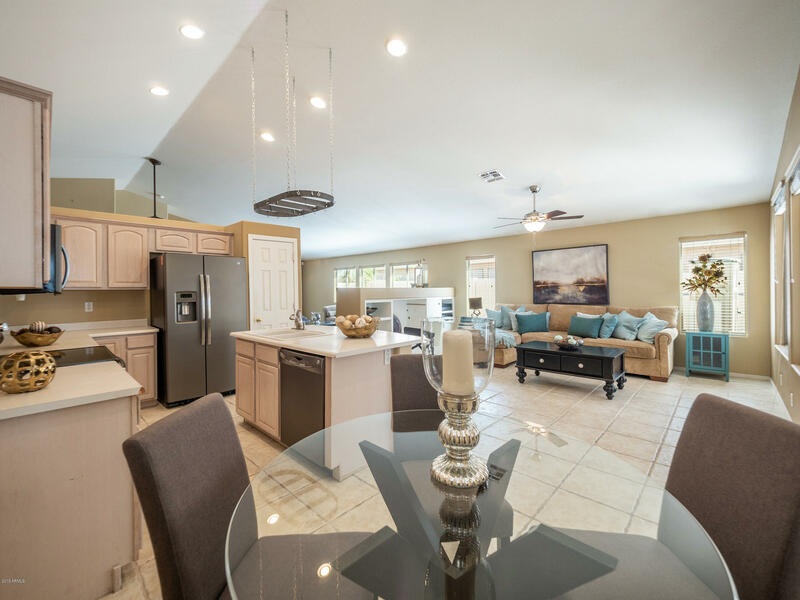 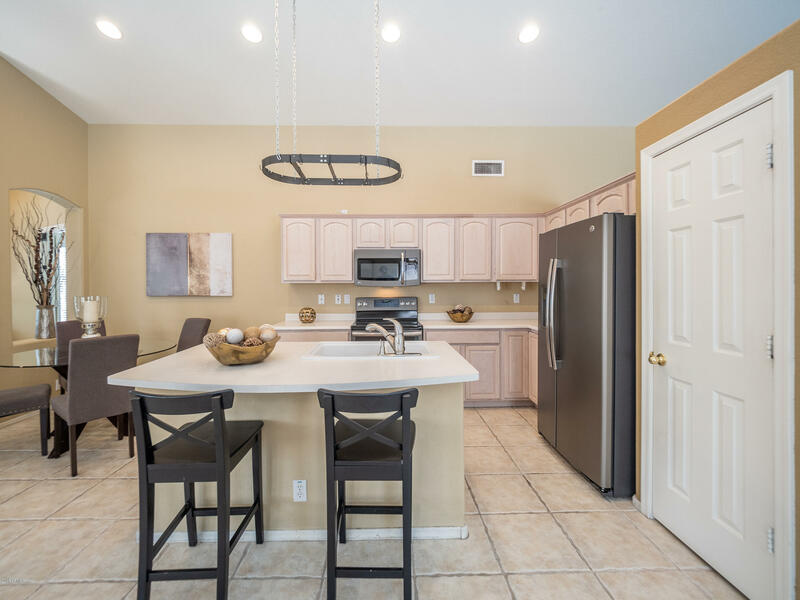 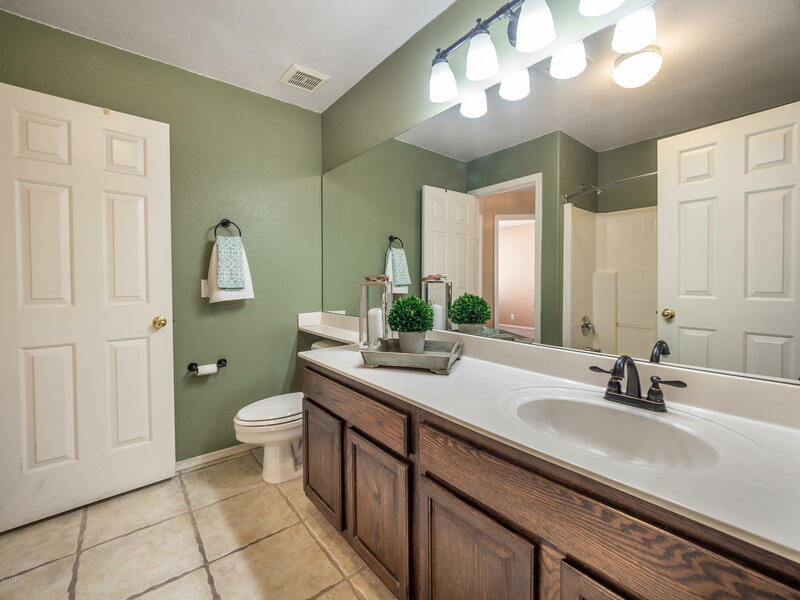 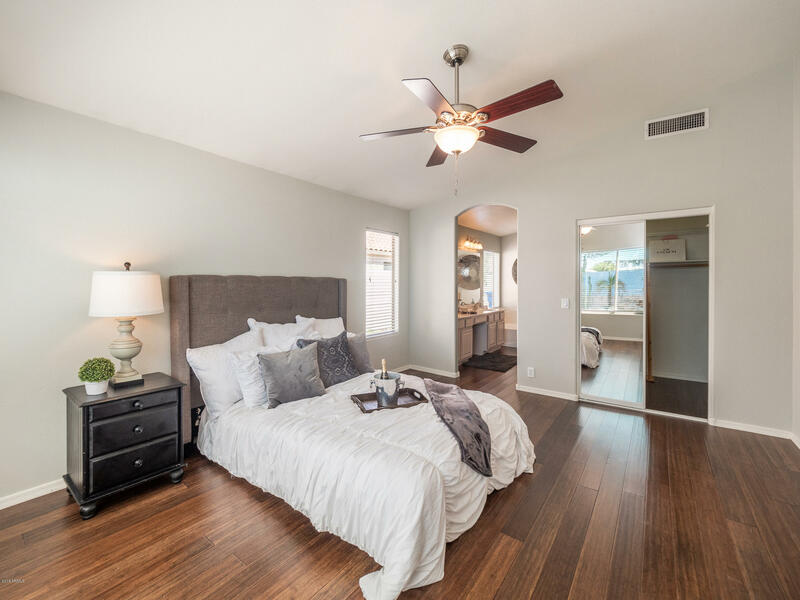 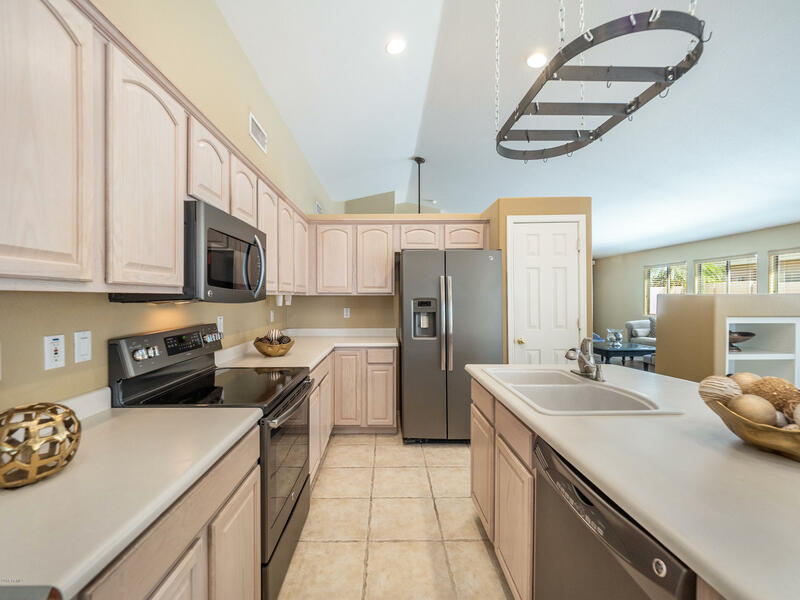 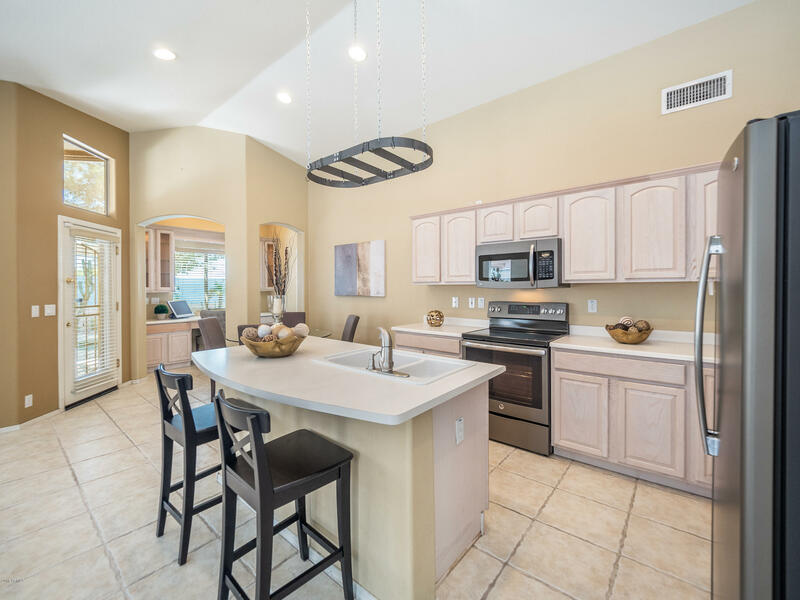 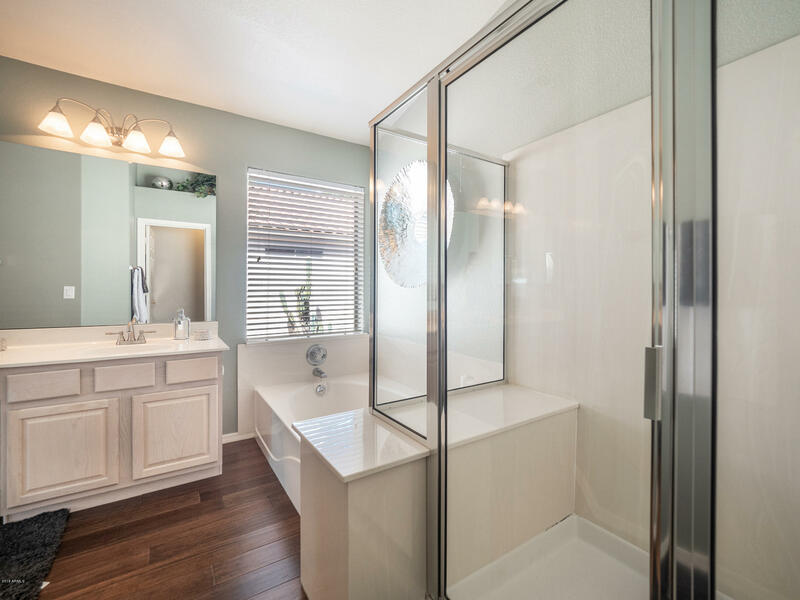 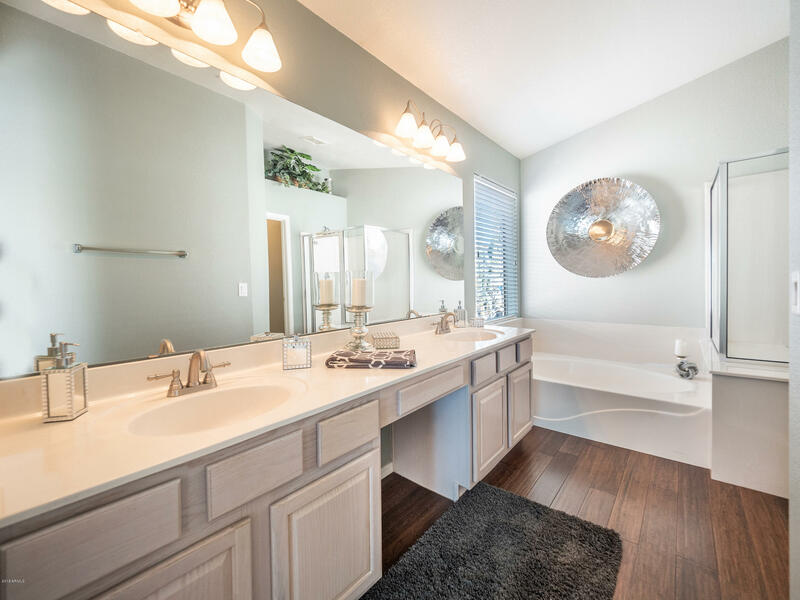 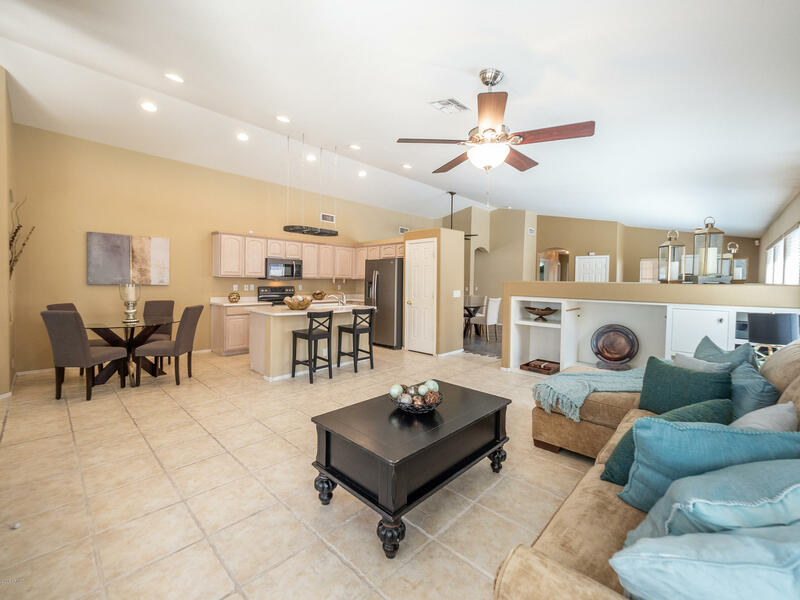 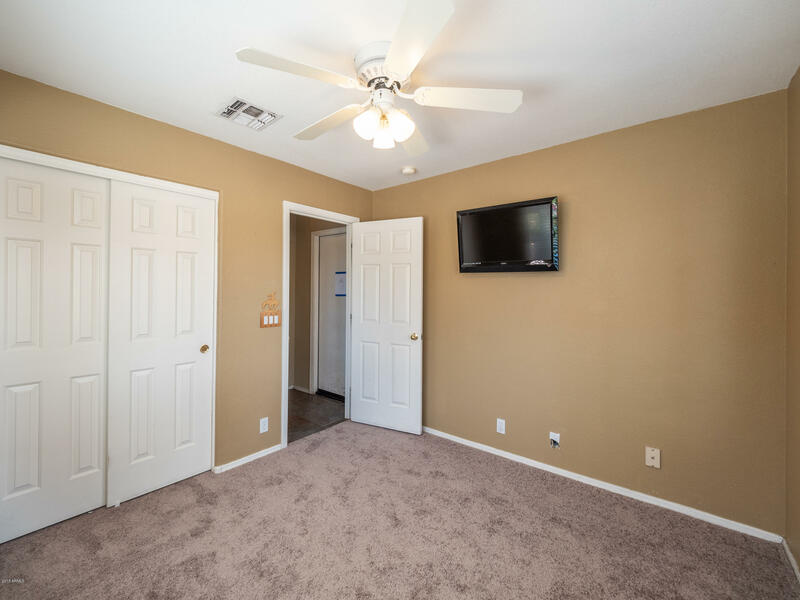 OPEN CONCEPT FLOOR PLAN Living rm, Dinning rm, Family rm & Kitchen w/ GE Slate Appliances, breakfast bar/ island, hanging pot rack, pantry & breakfast area! 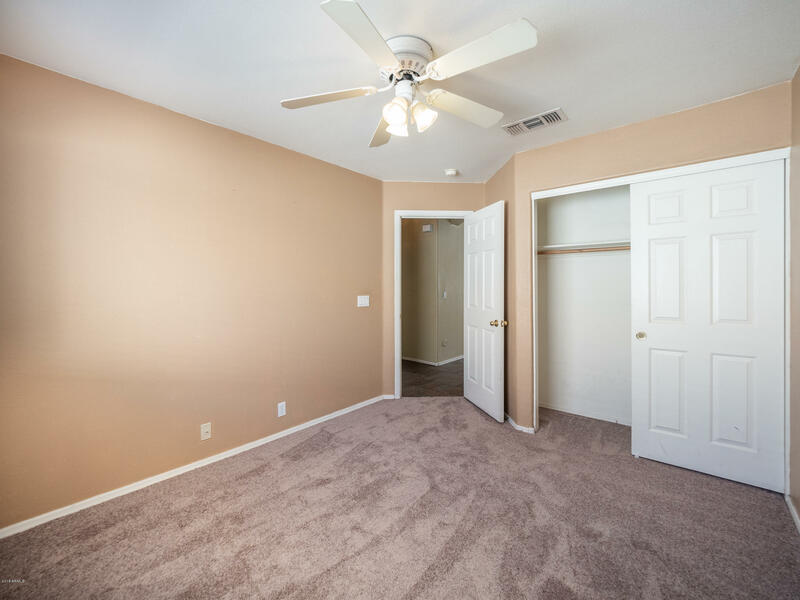 Split Master suite has hardwood floors & large closet-ensuite bathroom w/ double sink vanity, garden tub & separate shower! 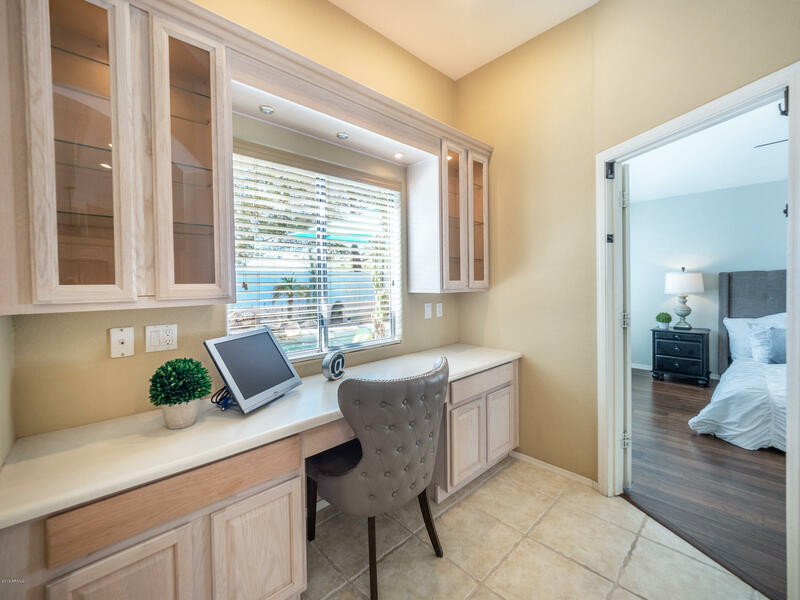 Custom built-in desk & crendeza w/ views to backyard retreat! 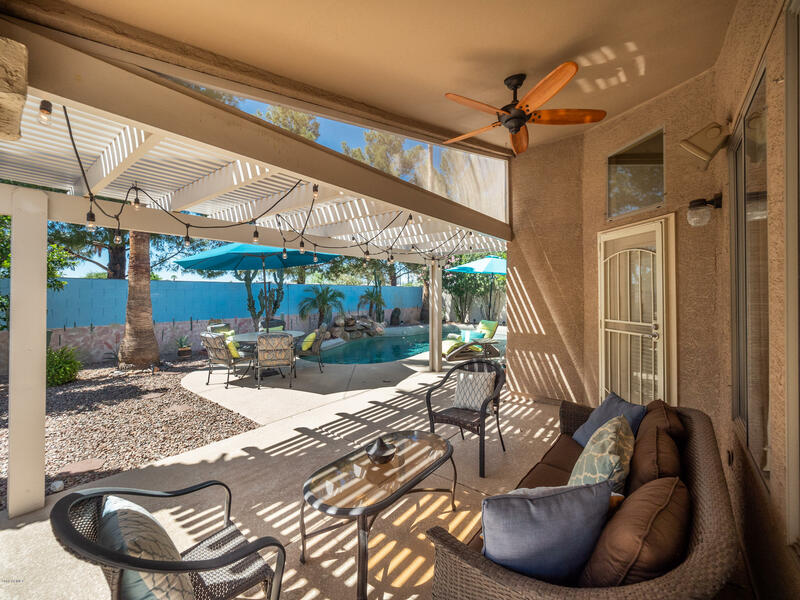 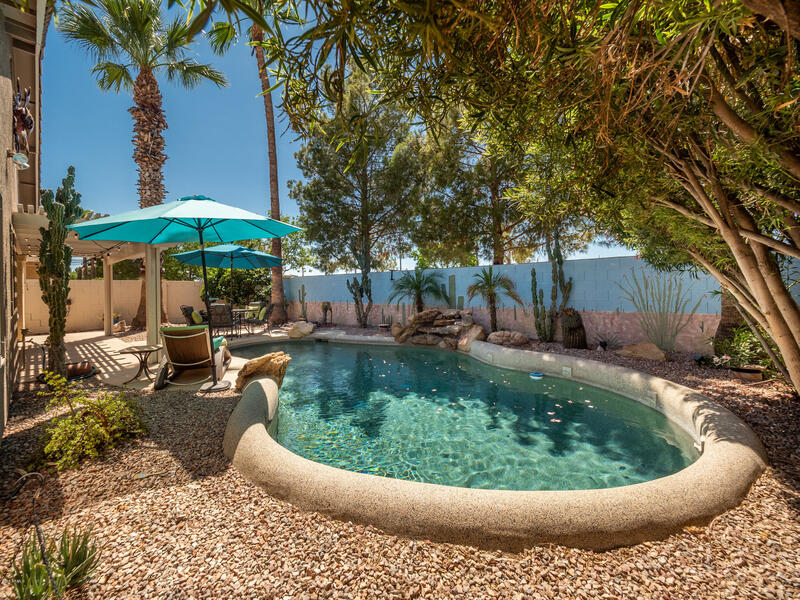 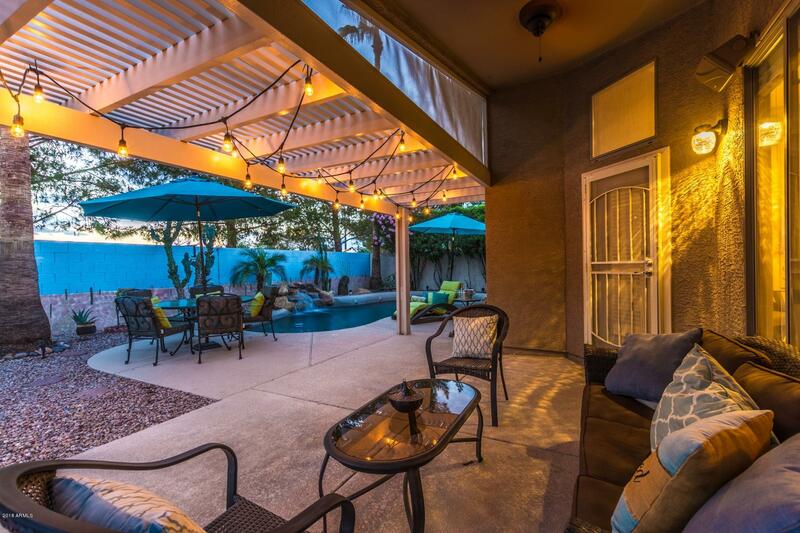 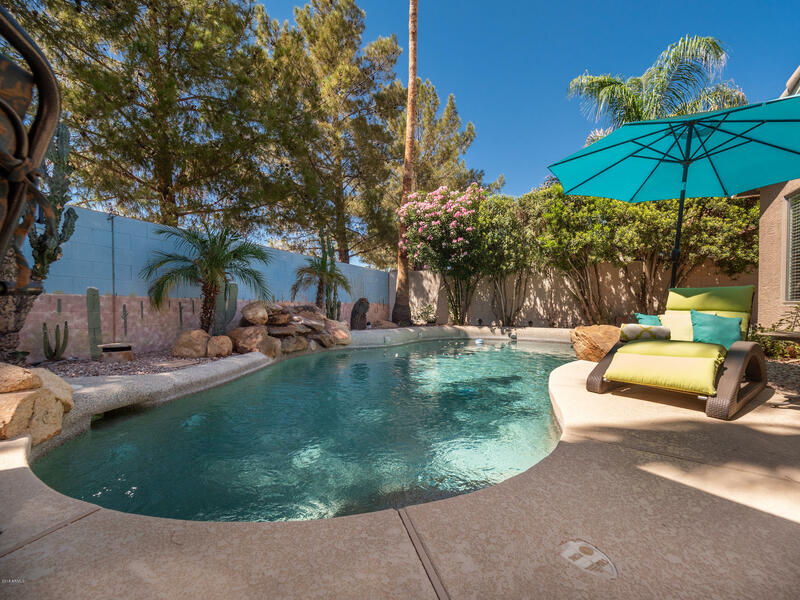 Enjoy the private resort-like backyard-extended covered patio, self cleaning salt water, Pebble tec Pool w/ peaceful waterfall feature! 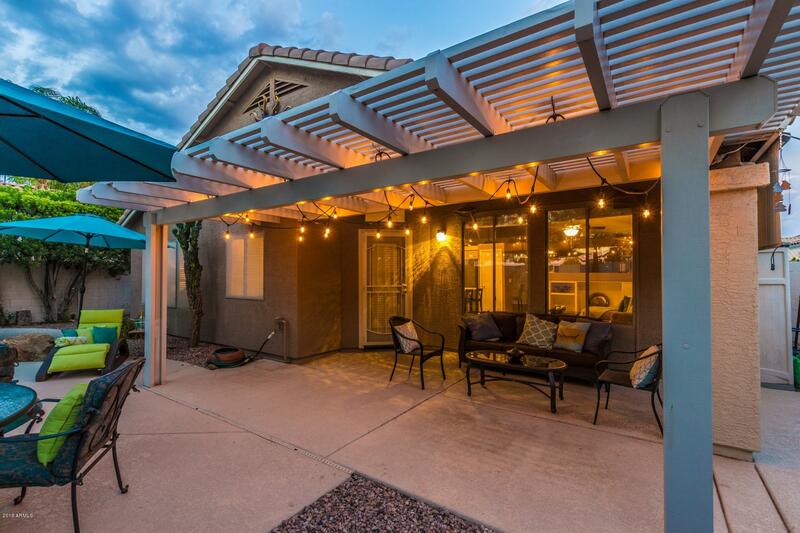 Solar Panels will save HUGE $ on energy bills!! 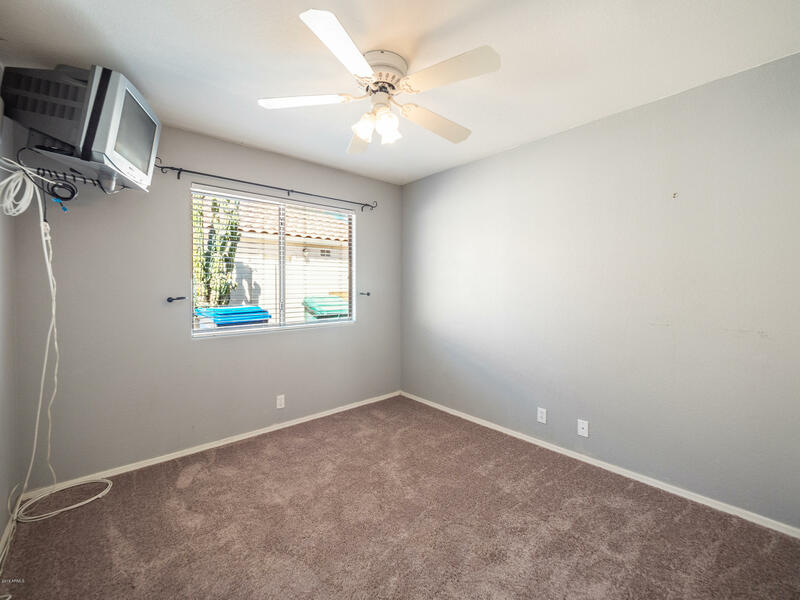 Garage w/ built-in storage, attic is floored & insulated w/ pull down stair access. 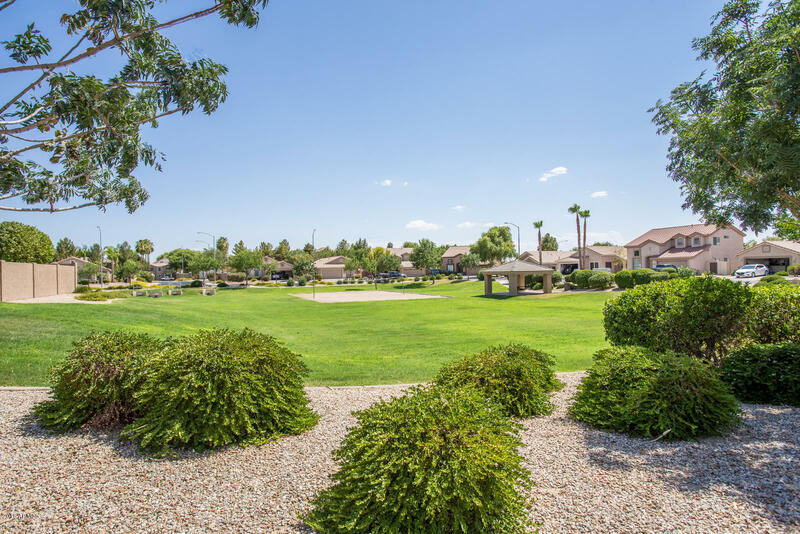 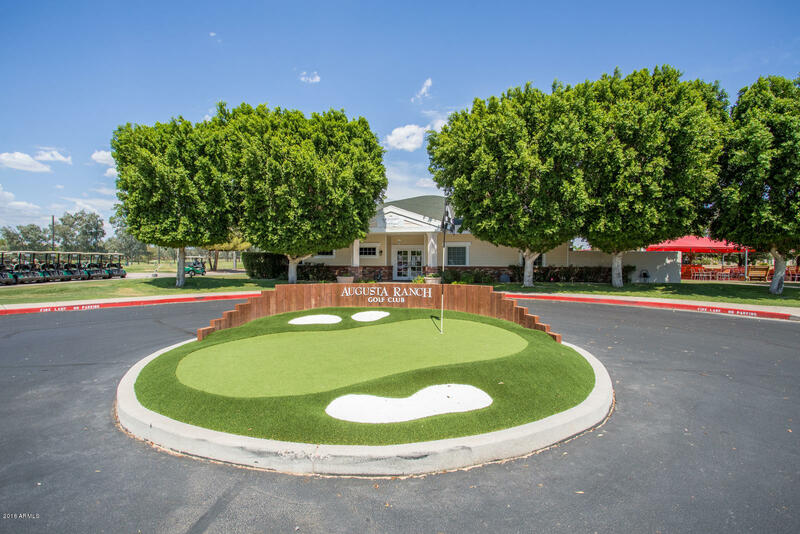 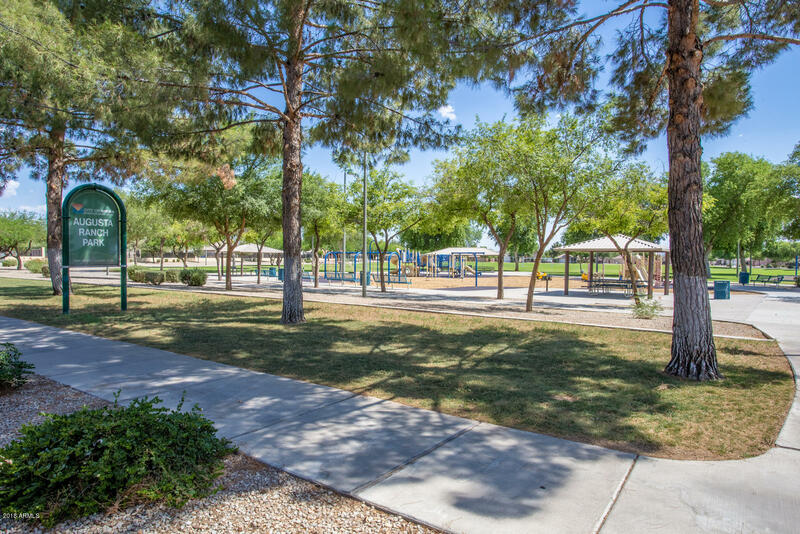 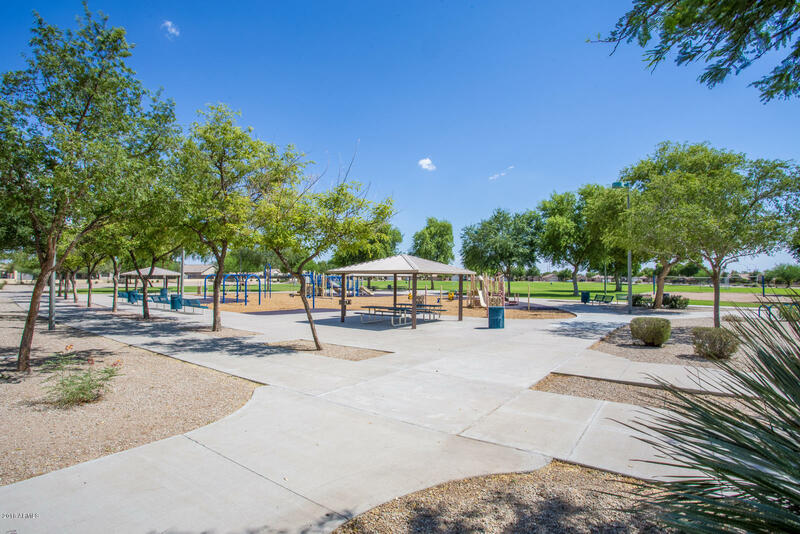 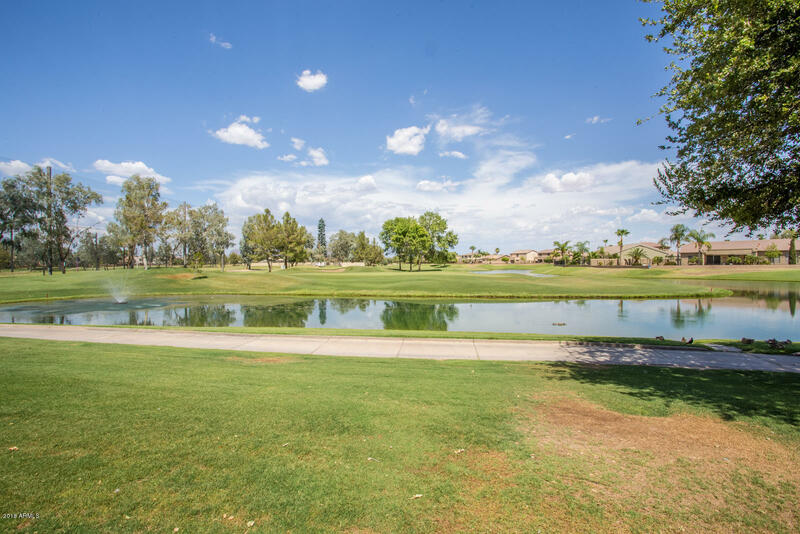 Walk to Golf Course/ Clubhouse, Playground!